Michelina's Frozen Entrees - High Quality, Delicious Value. The spirit of Mama Michelina thrives across our family of products. Whether you’re savoring a traditional favorite or enjoying an innovative new preparation, our passion for great flavor and value comes through in every bite. 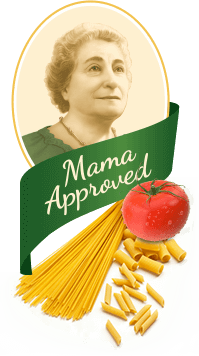 When she immigrated to America from the village of Bellisio Solfare in northeastern Italy, Mama Michelina brought with her a wealth of family recipes and a passion for cooking. You can taste it in the quality of our ingredients and authenticity of our flavors, and see it in our strong commitment to value. Mama knew that good food makes eating a pleasure, and good prices make every meal that much better. So the next time you’re hungry for something delicious, Let Mama Feed You!